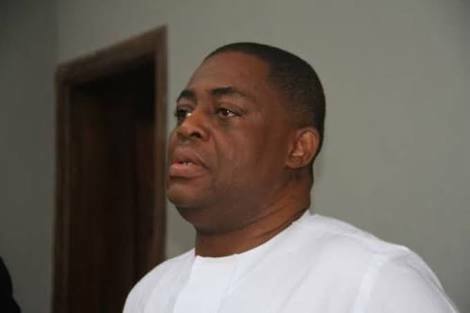 Former aviation minister Femi Fani-Kayode has been asked to report at the Police headquarters in Abuja on Tuesday over alleged criminal offences. The police ‘invitation’ dated August 20 alleges criminal conspiracy, defamation, inciting publication, injurious falsehood and conduct likely to cause breach of public peace. It was signed by CP Habu Sani, the Commissioner of Police in charge of the IGP Monitoring Unit at the Force headquarters in Abuja, a special unit that focuses on exceptionally serious crimes. “This office is investigating the above mentioned case reported to the Inspector-General of Police, in which your name featured. “In view of the above, you are kindly requested to interview the undersigned through SP Usman Garba on 28/08/2018 at 1000 hrs, to shed light on the allegations raised. “You are to, however, note that the invitation is purely for fact-finding and your cooperation in this regard is highly solicited please,” the police stated.